I was doing a backlink check on a law firm site today and ran into link SPAM at a level so rudimentary and flagrant that I was incredulous that it was still around. 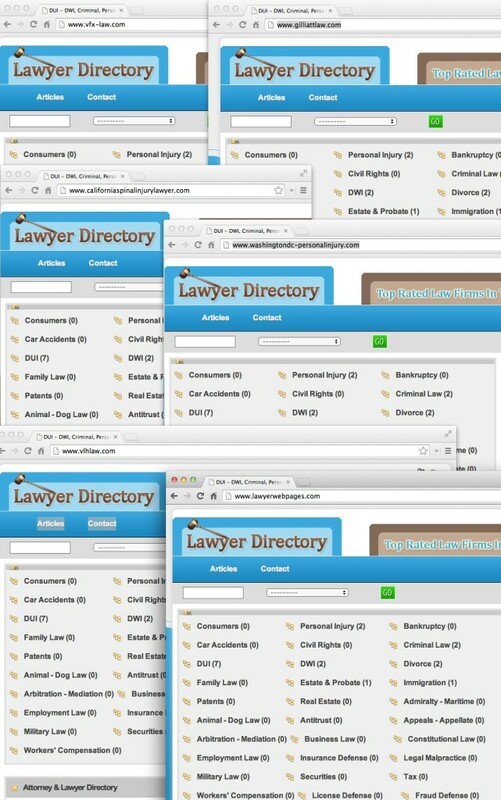 This SPAM is so basic, it might serve as a good lesson on how SEO’s manually diagnose toxic links . . . .
Hmmm – looks like a low end directory – linking out primarily to a small number of DUI lawyer websites. 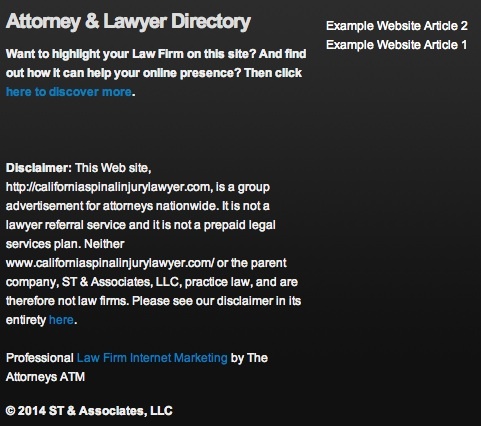 The Footer tells me this a directory from a company called The Attorneys ATM – who provides “law firm internet marketing” (nice anchor text), but apparently didn’t know how to remove the placeholder text for Example Website Article 1 and 2. Let’s click through and discover more . . . Well, lookie here – some information on backlinks and how to rank in very high in the search engines: This isn’t going to blow you away, but the anchor text heavy links in the directory all pointed to clients of . . . .
don’t tell me you guessed already . . . If you don’t understand the significance of what I’ve described above let me simplify: Search Engines use links as an indicator of quality content and therefore rank sites with lots of links well. Fake links (also called toxic links) like the ones above are used to artificially boost search engine rankings. When the search engines discover these toxic links – they may chose to not only ignore them but actually demote the site – causing inbound traffic to crater and inbound phone calls from prospects to essentially disappear. Toxic links are the primary target of the search engine penalty called Penguin. The example above is so egregious – a bunch of copied sites with instructions on the importance of backlinks all linking back to a single provider – that I’ll buy you a steak dinner if the clients of The Attorneys ATM haven’t seen a huge drop in traffic due to Penguin. Unfortunately, recovering from a Penguin penalty is expensive, uncertain and takes a very long time. My industry has done a good job earning its place at the bottom of the ethical barrel. Unfortunately it is frequently our clients who suffer. Caveat Emptor. Penguin. Haha that’s so great. Also, “Attorney ATM” is pretty funny. As always Conrad, I enjoyed the read (Although I’m a few days late) and the insights you provide. 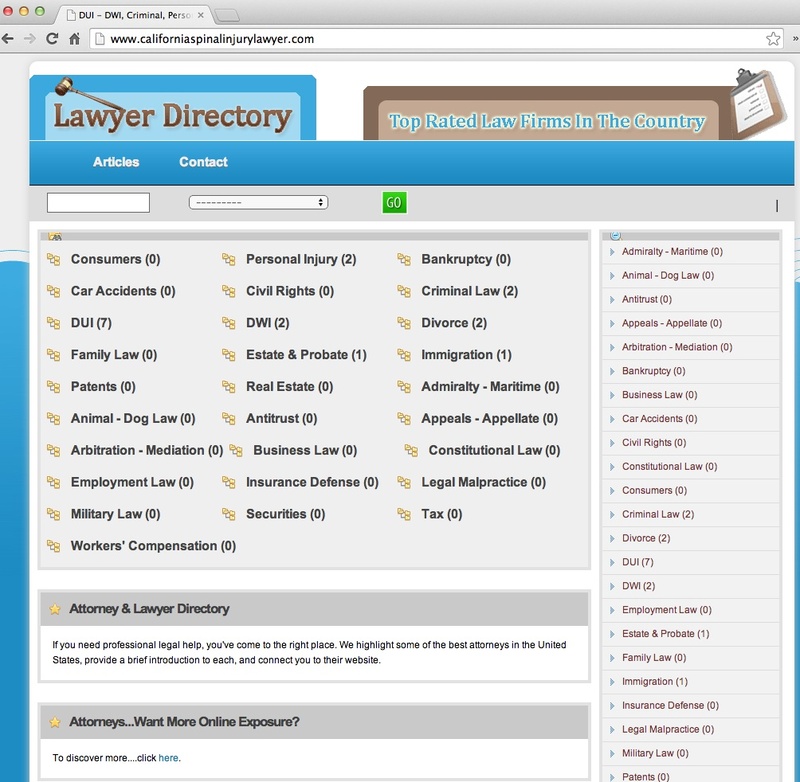 Although I don’t market for attorney’s since Avvo already has it down, I will take these tips into profound consideration while I continue to construct the back end of my own site. Thank you very much. You’re the best. Avvo AND YOU, sorry I meant to plug you too I’m just tired from travel. Keep up the great blog posts, I love the wisdom gained as I’m sure many of your clients do.